This writer likes She Wore A Yellow Ribbon as much as the next guy, but the real pull of the Western is those oaters that are soaked in blood and caked-on grit. Ever since Peckinpah’s The Wild Bunch rattled onto screens, cussing and violence has been the mark of a rollicking Western. They’re referred to as ‘revisionist’; we prefer to call them ‘the ones where a dirty great big Gatling gun tear through the bad guys’. In gaming, Western-themed titles have been popping up across the years and each one has thrust a bit of everything into our hands. Sure, they can be laden with gore and good old-fashioned violence, but the creative minds behind many of the titles you’ll see on this list have paid the genre some respect, throwing in everything from adventure, real time strategy, steampunk, platform elements and so much more to create games that give the genre a new lease of life. 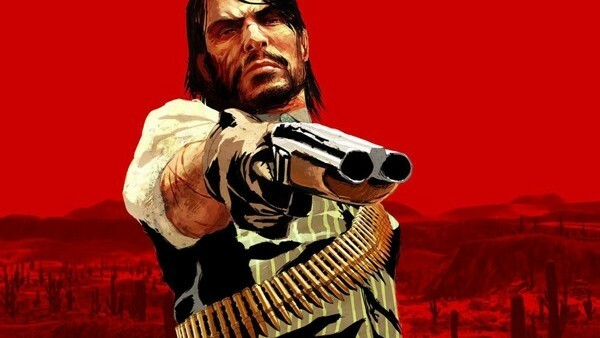 For this list, we've lassoed in some of the best, most unique Western gaming romps to ever ride out on PC or console (that’s enough of the puns, honest sheriff) that along with doing the genre proud, are also great games in their own right. The rodeo (sorry) isn't over, though. With Red Dead Redemption 2 coming up over the horizon for a 2018 release - the genre is clearly just getting started. Saddle up and enjoy the ride.